We Recently traveled Eastern NC to capture footage for Highland Roofing! The following are a couple of promo videos we did for them. This project was alot of fun!! We went back to Durham today and as you can see there has been some changes! 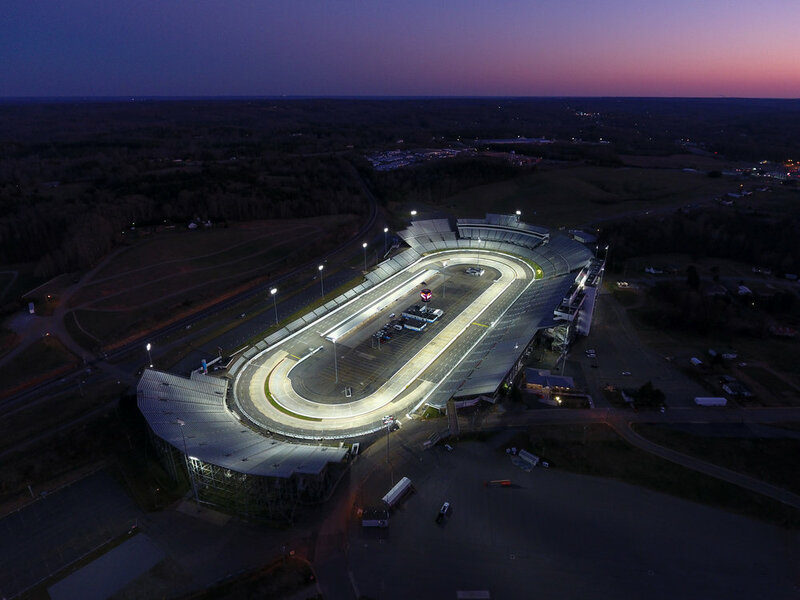 We were honored to do a night flyby of Martinsville speedway to promote the new lighting system. The photos turned out fantastic! Welcome to night racing!! Yesterday we had a great opportunity to drive to the coast to work on a video for a client who ownes a trailer court about 20 minutes from the beach. So we flew her court and then headed to Emerald Island Beach to get some spectacular shots!! On the last week of February, I began to work with Metcon Inc. on a large construction site in Durham, NC. I will be shooting the site every month to monitor the progress. We can't wait to see the final outcome in about 18 months!! This photo was stitched as a full panorama of the site on 3-25-17. Looking forward to the changes next month!